Khartoum recently hosted Wagdy Ghoneim, a leading member of the Egyptian Muslim Brotherhood, at the invitation of the General Sudanese Studentsandnbsp;Union to meet with Secretary-General of the Popular Congress Partyandnbsp;Hassan al-Turabi, Secretary-General of the ruling Islamic movement Al-Zubair Ahmed al-Hassanandnbsp;and Islamic leader Ibrahim Ahmed Omar. The invitation of Ghoneim and its announcement by government platforms in Khartoum indicate a dangerous escalation inandnbsp;Cairo’s ties with the government of the National Congress Party. Summaryandnbsp;After the visit by a leading member of Egypt’s Muslim Brotherhood, Wagdy Ghoneim, to Khartoum, the region is pondering the repercussions of a potential Islamist-Sudanese relationship. The visit has sparked controversy in Cairo and Khartoum alike. Media circles in Egypt considered it a negative sign and an escalation on the part of Khartoum. The visit has also strengthened many doubts about the presence of a number of Egyptian Brotherhood leaders in Khartoum. Some saidandnbsp;that Ghoneim is planning terrorist attacks against Egypt from Sudan. The visit has revived questions aboutandnbsp;the role of the Sudanese government in the influx of arms into Egyptandnbsp;and coordination between it andandnbsp;the international Brotherhood, Iran, Qatar and other powers to harm Egypt’s interests and security. It has also raised questions aboutandnbsp;the damage it would bring to Egypt’s negotiating position on the issue of the Ethiopianandnbsp;Renaissance Dam. Egypt’s position is threatened by the full, unconditional support of Sudan forandnbsp;the Ethiopian position without even thoroughly considering scientific studies or the views of international experts — from which Egypt sought help — although the current form and storage capacity of the dam pose genuine threats. Observers believe that the Khartoum government is responsible for the risks Egyptandnbsp;faces because of its evasive position on the recently raised water issues. It is also held responsible because of its involvement in the attempted assassination of former Egyptian President Hosni Mubarak in Addis Ababa in 1995, which had negative repercussions on the Egyptian relationship with African countries. Observers believe that the Khartoum government, which wants to remain in power at any price, unconditionally supports the construction of the Renaissance Dam for its own security. Khartoum fears that if ties with Addis Ababa are cut, Ethiopia would take steps against rebels in the Blue Nile, South Kordofan and Darfur similar to those of the 1990s. Back then, it backed the Sudan People’s Liberation Army, led by late John Garang de Mabior, in its fight against the government in Southern Sudan, which had a decisive result on its advancement. Ghoneim’s visit shed light on the major changes in Khartoum, and the rapprochement between the two branches of the Islamic movement in Sudan, namely the National Congress Party led by President Omar al-Bashirandnbsp;and the Popular Congress Partyandnbsp;led by Turabi. Some view this rapprochement as a tactic used by each party to take advantage of the other, as happened in the past. Many believe that Islamists in Sudan are unifying after they felt the danger that arose after the fall of Islamists in Egypt. Others argue that the issue is deeper this time, as regional and international powers — Qatar and the United States — are contributing to the union between Islamists. Qatar seeks to unify Islamists in Sudanandnbsp;after its reconciliation attempts in Darfur provedandnbsp;ineffective. It had received assistance from Sudan to provide weapons to the insurgents in Libya through its territory to overthrow the regime of Moammar Gadhafi, to which Bashir admitted in one of his speeches. Regardless of whether the Islamic alliance in Sudan is tactical or strategic, or is a result of internalandnbsp;motives or foreign sponsorship, the return of Islamists under the Bashir-Turabi formula recalls the 1990s, when Sudan was wideandnbsp;open to Islamist movements and extremists coming from all directions. This period culminated inandnbsp;the assassination attempt on Mubarak, which Turabi denied having anything to do with. Following the failed attempt, Turabi founded the Popular Arab and Islamic Conference, which many Arab capitals viewed as a destabilization platform. At the time, Khartoum hosted Osama bin Laden, and its ties with Saudi Arabia and Kuwait became tense after it supported thenandnbsp;Iraqi President Saddam Hussein during the invasion of Kuwait in the following years. Concerns for theandnbsp;return of a gloomy period along with heavy negative repercussions in Sudan have recently emerged in countries in the region, most notably Egypt. Other concerns prevailed under the rule of Turabi and after he left it, and have recently increased, namely over the heavy Iranian presence in Sudan. This has been manifested through the presence of the Iranian navy off Sudan’s coast, the memorandums of understanding on common security matters, the smuggling of armsandnbsp;and the attack on the Yarmouk munitions factory, which Iran helped to establish. Iran considers Sudanandnbsp;a starting point to strengthen its interest in the African continent. The Iranian openness to Africa first started under the rule of former Iranian President Hashemi Rafsanjani. Rafsanjani’s plane landed for the first time in Sudan in 1991, which was under the second year of the Islamist, military and ideological regime that was alienated from the international community. This visit was a pivotal event for the new Islamic Sudan. It was the outcome of years of communication between Iran and Sudanese Islamists even before their advent to power. The majority of Gulf States fear Iran's attempts to blockade them through military and sectarian alliances. Iran would resort to Sudan through Hezbollah and Hamas to surround the Gulf from the Red Sea, the Houthis in Yemen from the south, Bahrain from the east by stirring unrestandnbsp;and Iraq from the north by using its strong influence.andnbsp;This blockade attempt was about to be completed with the advent of political Islamic movements to power in Tunisia, Egypt and Libya. Recently, tension prevailed between Saudi Arabia and Sudan, reaching a climax when Riyadh closed its airspace to the plane carrying Bashir, who was heading to Iran to attend the inauguration of Iran's new President Hassan Rouhani. Moreover, on March 4, 2014, the Saudiandnbsp;Anti-Money Laundering and Counter-Terrorism Financing Unit issued a statement strictly prohibiting banking transactions with Sudan. Observers link the Saudi stringent measures against Khartoum’s government to the growing Iranian presence in eastern Sudan, especially since Sudan allowed Iranian warships to dock in one of its ports. This was followed by a UAE decision to ban banking transactions with Sudanese banks, without clarifying why. In the wake of Riyadh’s decision to prohibit banking transactions with Sudanese banks, the head of foreign relations in Sudan's ruling National Congress Party, Al-Dirdiri Mohammed Ahmed, admitted that the relations between the two countries were strained. Walid Phares, the co-secretary-general of the Transatlantic Legislative Group on Counter-Terrorism, said in his testimony to the US House Subcommittee on Foreign Affairs on Africaandnbsp;Feb. 26, 2014, that there isandnbsp;increasing Iranian activity in and around Port Sudan, including the maritime presence of Iranian military, in addition to the shipping of weapons from the Indian Ocean from the east to jihadists groups, including groups in the Sinai. The political return of Turabi increased concerns of growing links with Iran and of adventurism of the Sudanese regime, despite the difficulty of Sudan playing this role. It is currently facing political and security collapse and an excruciatingandnbsp;economic crisis,andnbsp;especially after the secession of South Sudan, whose total oil share is 75%. Khartoum’s regime is in real trouble today, given its dual policies that are no longer valid and the current situation in Egypt and the Gulf states. The Gulf’s previous experiences with Sudan’s procrastination will make these countries more sensitive to any alliances or policies that harm their interests or security. Therefore, it will no longer be acceptable that Khartoum hosts Iranian military warships in Port Sudan. This is in addition to the relationship based on armament between Iran and Sudan whose Foreign Minister Ali Karti had denied. It is also not acceptable that Sudan receives the leaders of the Muslim Brotherhood — which was declared a banned terrorist organization — or acts on behalf of Qatar. Now, questions arise about the intentions of Khartoum’s regime to re-adopt its old policies that only resulted in a regional and international hostility. 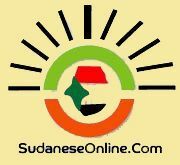 Sudan did not achieve any of its objectives with Egypt. It ended up resorting to the Mubarak regime to help it manage its crises, which the Sudanese considered concessions at the expense of the sovereignty of their territories. Meanwhile, the crisis in Darfur, as well as the issue of the International Criminal Court’s case against Bashir and some of the leaders of his party, exacerbated. Although the miscalculated adventures of Khartoum’s regime throughout the ruling period of the national salvation regime showed little success and even harmed Sudan and its regime, it does not seem that Sudan has learned its lesson. Perhaps this is why Saudi Arabia and the UAE took the recent measures, not only related to Khartoum’s position toward the developments in Egypt after the fall of the Brotherhood, but also to its security calculations, since Saudi Arabia and other Gulf states believe Sudan has become a source of support to the Muslim Brotherhood and Iran. It is urgent that the regime in Sudan, surrounded by dangers on every side, steers clear of adventurism or blundering relations and refrains from the Iranian, Muslim Brotherhood or Qatari axes to the detriment of its neighbors and the region. The internal situation in Sudan must be remedied. This will only be achieved through national reconciliation and not through a repetition of the experience of the Sudanese regime over the past 25 years, which only provided truncated partial solutions that further complicated the country’s situation, leadingandnbsp;to its division and the internationalization of its issues.